Kate Johnson (left) and her husband, Rob, joined Gray Kinsella and sister Kasey Kinsella at chef Bernard Kinsella’s ”Create Your Best Pizza Ever” class in Norwell. It seems like it’s always dark out, and lately your idea of socializing involves Snapchatting a selfie of you binge-watching yet another TV show. The long, dark days of winter are here, dipping moods as low as the temperatures and triggering hibernation instincts. But experts say there are many things one can do to beat the winter blues, from redecorating your home to planning for a race or future trip to being more creative with your social calendar. Sitting in front of bright light for 30 minutes early in the morning, eyes closed or reading, can be beneficial for those finding it difficult to get their day started in the winter months, Farrell said. Chasing the early morning sunlight at home can also be such a mood booster that “it can help your soul,” said Sarah Campernel, assistant professor of interior design at Endicott College in Beverly. Campernel, who runs her own interior design studio, advises her clients to re-create in their homes what they love about being outdoors in the warmer months. Patterns found in nature, like tree bark, clouds, or blades of grass, can serve as inspiration for textiles such as carpet, bedding, or curtains. Decluttering, orienting furniture to face windows, adding mirrors to spaces, or a fresh coat of paint also help create a relaxing but energizing space, “which is what people need in the winter,” she said. Motivation may be a little harder to come by in the evenings, when it’s pitch dark by 4:30 p.m. Rather than going straight home at the end of the day, Farrell advises making plans. 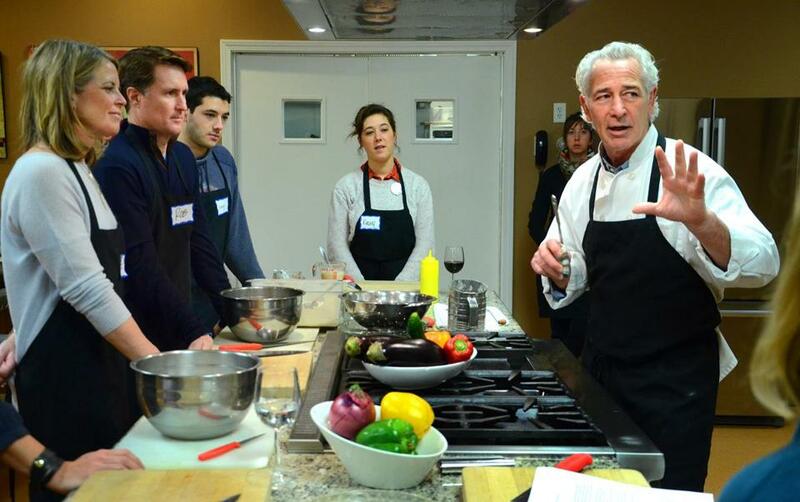 Enjoying a night out beyond the usual dinner and drinks is why chef Bernard Kinsella thinks cooking classes at Good Life Kitchen in Norwell tend to sell out quickly, particularly in winter. Classes include making your own bacon, vegetarian cooking, and Crock-Pot recipes. 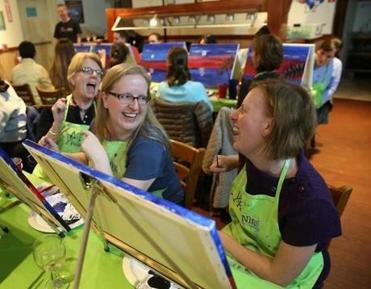 Winter is also the busiest time for David Daykin, an artist and licensee for Paint Nite , a Somerville-founded paint-and-sip that hosts social events in bars and restaurants throughout Greater Boston and beyond. Increasingly, people are also turning to technology to help them get in a better frame of mind as we await warmer days, Farrell said. Wearable tech, like Fitbit, encourages users to move more, while social media platforms, like the photo-sharing app Instagram, may lift moods by inspiring wanderlust. Then there are apps used to conveniently avoid the cold, like Drizly , a Boston-based alcohol delivery service launched three years ago and expanded to serve Greater Boston and beyond. People use Drizly to place an order with a liquor store, which then delivers, said cofounder Nick Rellas. On days when temperatures fell below 33 degrees between December 2014 and February 2015, when much of the region was buried in snow, Drizly experienced a 66 percent increase in average weekend orders, compared with days when the temperatures were above that. On weekdays, orders increased by 31 percent, according to company data. “It’s not that they’re ordering more, it’s that they’re getting out of the house less,” Rellas said. One app that may help people cope with the winter blues is Koko , a social network on which users help each other think differently about stressful situations. Koko evolved from a research project at the Massachusetts Institute of Technology and underwent a clinical trial last year, said co-creator Robert R. Morris. “So if it’s in the middle of winter and it’s dark and you write what you’re stressed out about, a bunch of people like you, not therapists, help you find the positive,” Morris said, adding that Koko is not meant to replace professional therapy, but rather to be used as a self-help tool. “For people who haven’t yet reached the clinical definition of depression or anxiety, this can help prevent the onset of these conditions,” he said. But people who undergo behavioral changes due to the season, like skipping events or missing work, should reach out to a professional, said Farrell, who recently released an animated film on the signs of depression. “If it’s getting to the point of having multiple symptoms, like not eating, or trouble concentrating, they would be well-advised to reach out for some professional help,” she said.